Shows kick off at the Casa Marina Beach Stage as early as 10 a.m. opening day, so get your morning joe, sunglasses and flip flops and head to the event. Make sure to save energy for Drop Dead Dangerous with Melanie Howe and Kitty Steadman, who perform 8-10 that night. The Mini-Mart opens! Get outfitted in Parrot Head gear to enjoy the rest of the festivities. Also highlights on the main stage include MOTM veterans Sunny Jim, Mark Mulligan and Kelly McGuire, as well as later shows by Jimmy & the Parrots and some Louisiana flavor to follow. Put your walking shoes on for our annual street festival! On the corner of Duval And Fleming the party starts at noon and runs til 5:30. Later at the mainstage will be The All Star Review, which you definitely won’t want to miss. Local charity The Zonta Club of Key West is hosting their annual ABV 5k Run/Walk to raise money for preventative measures for breast cancer in women in the Lower Keys. Walk off those margaritas for a good cause, and make sure to register ahead of time here. Sunday will be a relaxed wind-down from the week with a 3-hour set with Steve Hopper and the Wolf Island Band. Show starts at 10 a.m. and runs til 2. 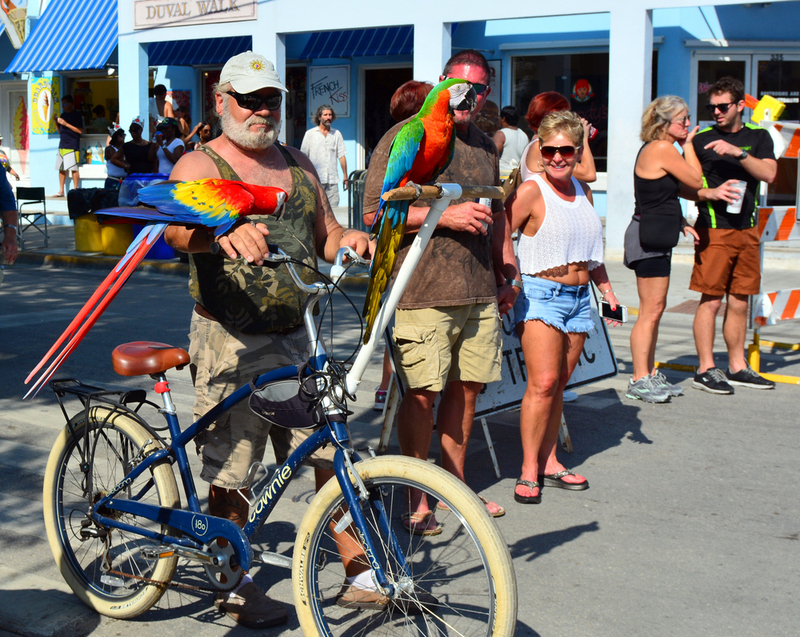 Shuttle services for Parrot Heads will also available from 9 a.m. to 1 p.m. Thursday-Saturday, with trips to Green Street, Fausto’s, Conch Republic Seafood Co. and, of course, Margaritaville.